That’s the moment that gets me every time. I have to reach for the volume and turn it up. Every decade that piles up adds another couple presidents and innumerable moments of asking “What the…?” By now, I look back over the presidents and see waves of one political stripe giving way to another until they change places again. Sure, plenty more is involved, but here I am most interested in the similarity of political ascendancy to the weather in Rochester, NY- if you don’t like it, wait a bit and it will change. Obviously, the challenge is waiting a bit, especially if you happen to be on the outside (or worse) looking in. Movements- political, artistic, social, etc.- all have their day. Pokemon Go, we hardly knew ye. I am part of a generation that is moving with tentative steps into the age when we are more often found on front porches cursing “those damn kids.” (And a great ancient quote would look really good here, but I did a little research and found it was bogus.) So, I have heard my contemporaries living up to expectations and complaining that there isn’t any good music being made anymore. I do wonder if it isn’t just an excuse for not bothering to look. After all, we have plenty of entertainment available already. Why keep making more? I rather like the excuse myself on hectic days. In my better moments, I remember to wait for the next wave, because there have been so many good waves already. In the ebb times, the challenge becomes remembering that new art is coming. Somewhere, in a dingy apartment, ideas are being worked out while the macaroni and cheese simmers on the hot plate. 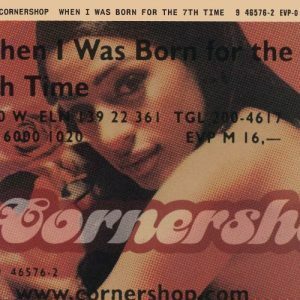 Sometime ago, between Lyle Lovett and Wilco, the tide brought Cornershop to my ears. They received the “fresh” sounds moniker from a lot of people, but that would have been useless if they hadn’t offered a way into their sound for ears that were not as fresh. They had a hit that transcended expectations of the radio. It is hard to express the importance of those waves in building community. As much as we hold deep political views and cling to self-defining tastes, we ultimately define ourselves by the people that share those tastes and views. When we feel isolated, it is because our internal voice has found little corollary in the external world. Those ebbs break down our communities because we feel that no one cares what we think. If you are not reflected in the popular entertainment, in the voices of your leaders, then you no longer feel a part of the population. The miracle may be that Cornershop broke through to significant success in the late 1990s. But the necessity is that a place remain for them and, just as importantly, those to whom they gave an outlet and a voice. You’ve Got to Check This Out is a blog series about music, words, and all sorts of artistic matters. It started with an explanation. 107 more to go.